Active Play Everyday - Great for Indoor Exercise. 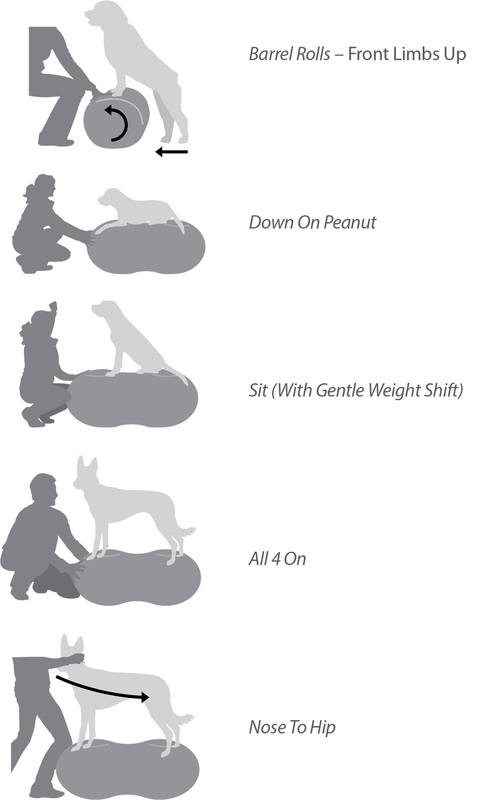 SIZES: 40cm, 50cm and 60cm – See Sizes 70cm and 80cm in the original peanut - Please see how to size your dog for a Peanut down the page. The unique, elongated peanut design provides a dog-specific training platform that promotes better form and a more stable training platform. The versatile Peanut shape targets front-to-back or side-to-side movements, important to dogs new to core conditioning training. The FitPAWS TRAX™ Peanut can be utilize as a touch target, an obstacle, and as a tool for Stability/Core Training. The Peanut provides a high-to-ground and moderate-to-high level balance challenge. Use the FitPAWS® Peanut for all 5 aspects of Canine Fitness & Performance™ (CFP™) training. If you plan to use your balance products for core conditioning measure the length of your dog when it is in a neutral standing position from the front legs to the back legs. Your dog should stand on the balance products without a hunched (or roached) back. You can always use a larger balance product for smaller dogs, but not a small product for large dogs. Large dogs may need two or more items to ensure proper form. If you have more than one dog, choose a size that fits your largest dog. 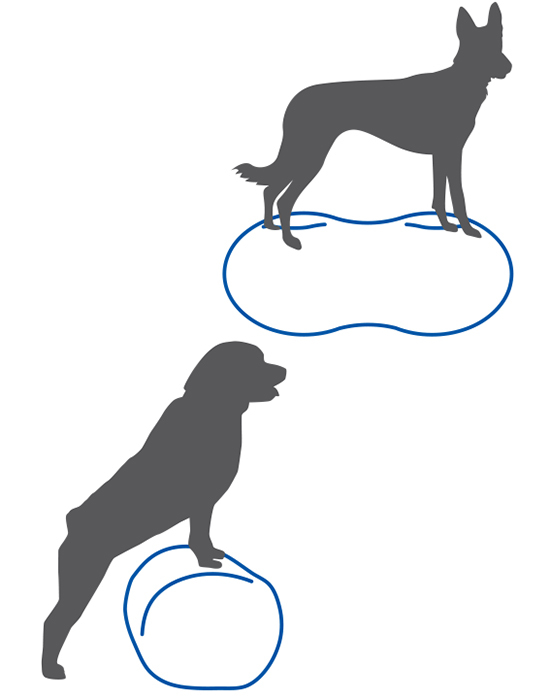 Weight bearing activities are activities where the dog is partially standing on the ground and partially on the ball. Choose a ball that is slightly under your dog’s withers (or highest part of the shoulders where the neck meets the back). If you need a ball smaller than the 40 cm consider purchasing our mini egg or decrease the amount of air in the 40 cm. Weight-bearing activities are a great way to introduce dogs to balance activities.